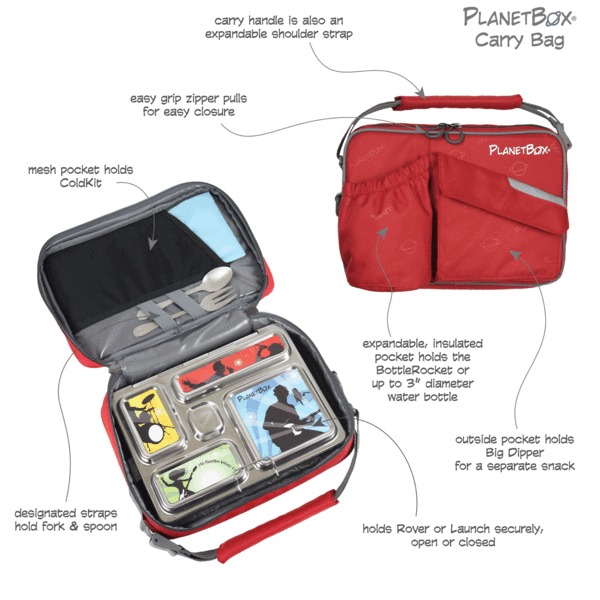 Rover Carry Bags are designed to comfortably hold and transport your PlanetBox Rover or Launch lunch box, and are independently certified to be safe from lead, phthalates, BPA, and other harmful chemicals. 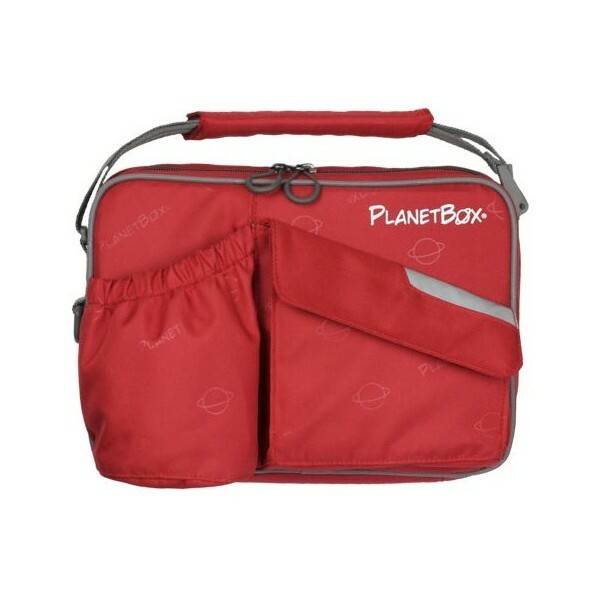 Made of durable, 100% recycled polyester fiber. 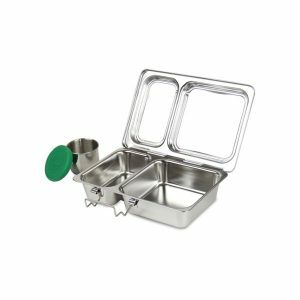 Outside pocket for separate snack – the Big Dipper works great in this pocket. Shoulder strap can be clipped on or off. 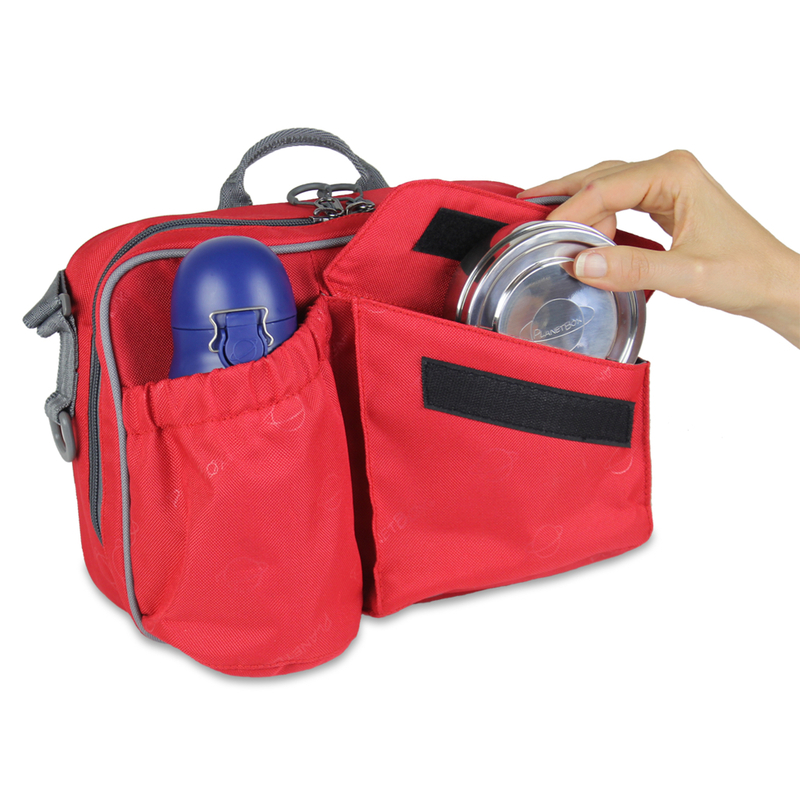 Inner mesh pocket fits an ice pack to keep your foods cold (not included). 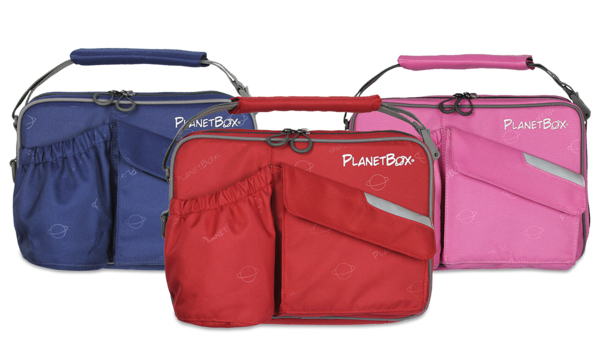 Flexible straps inside the bag to hold PlanetBox utensils. Elastic water bottle pouch holds a bottle 8cm in diameter or less (bottles sold separatley).